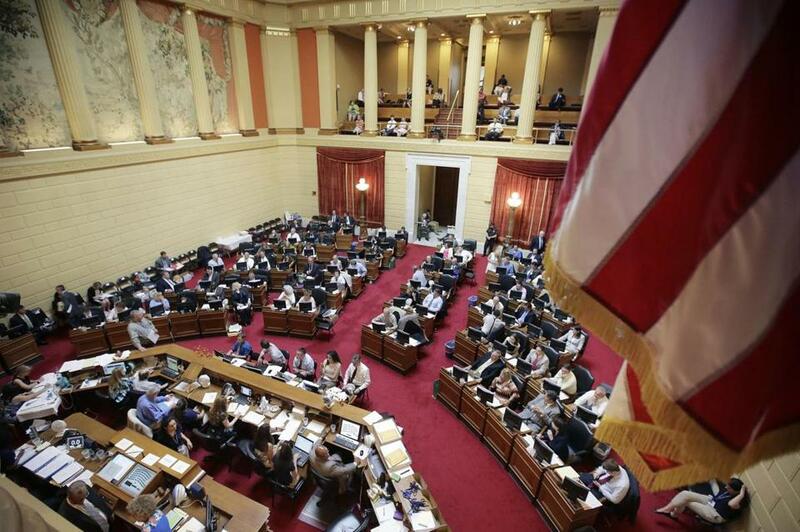 Rhode Island lawmakers in the House of Representatives deliberated last June. PROVIDENCE, R.I. (AP) — A Rhode Island lawmaker says she’s surprised by the ‘‘insane amount of drinking’’ that goes on in the State House. Providence Democratic Rep. Moira Walsh tells WPRO-AM that lawmakers have ‘‘file cabinets full of booze.’’ She says they recently took shots on the floor of the House of Representatives to celebrate Dominican Republic Independence Day.